It is no secret that Sony has been beavering away on a next-generation console to succeed the PlayStation 4 and 4 Pro. In the previous story published on HEXUS today, TSMC insiders were quoted as saying the upcoming console would feature 7nm processor(s) designed by AMD , with a release date estimated at somewhere around Xmas and New Year 2020 to 2021. Now the first official details of the next-gen Sony PlayStation have been teased in an exclusive interview with Sony's lead system architect Mark Cerny, published by Wired. At the start of the interview, Cerny set the bar high. The PS5, or whatever it might be called, isn't just a 'sequel' but "allows for fundamental changes in what a game can be," asserted the hardware developer. Thankfully Cerny didn't dance around the specs but was refreshingly specific about what silicon would power the PS5. For CPU duties, the PS5 will use an octa-core cluster of 7nm Zen 2 microarchitecture cores, he told Wired. For the GPU, Sony will employ "a custom variant of Radeon's Navi family." Interestingly the GPU will "support raytracing," by which we assume it is mean real-time raytracing. Interestingly, Cerny suggested use for raytracing beyond the visuals. The technique, or at least a similar one, can be used for sound sources to determine who can hear what in a virtual environment. For example, "If you wanted to run tests to see if the player can hear certain audio sources or if the enemies can hear the players' footsteps, ray tracing is useful for that," explained the system architect. In related news, the AMD SoC being designed for Sony includes a custom 3D audio component to make a large audio detail and fidelity difference between generations this time around. Moving beyond processing power, Cerny hinted at another exciting upgrade which will arrive with the PS5. He showed Wired a PS4 Pro playing Spider Man (2018), and when he went to fast travel to a different part of the city noted a 15s delay in the game becoming playable again. Switching to a 'low speed' devkit PS5 system which was contained in a silver tower unit, the same transition in Spider Man took 0.8s. Cerny went on to highlight that the 19x speed increase wasn't done by simply switching out a SATA HDD for the same form factor SSD. Other important aspects of the Sony PlayStation 5 are that it will support backwards compatibility with PS4 games and titles will still be sold on physical media. The current PSVR headset will be compatible too. If you are pretty keen on the next-gen console, as described, unfortunately there will be some considerable time to wait. Sony won't be at E3 this year. Our earlier report points to the console being about 20 months away from market availability. Microsoft to reveal next-gen Xbox at E3 2019? It is widely expected that Microsoft will unveil its next-gen Xboxes at its E3 event. 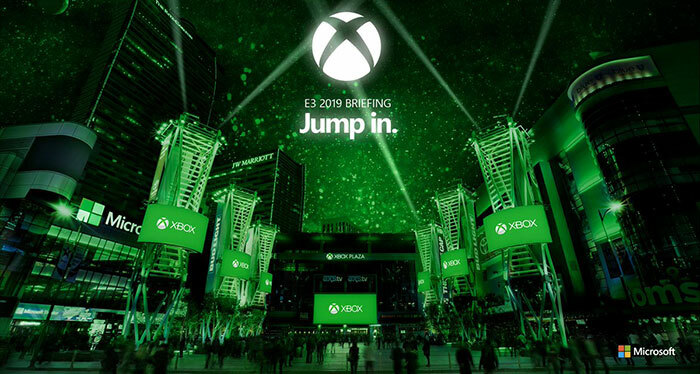 The Microsoft Xbox E3 2019 briefing takes place on 9th June at 1pm PT. furthermore, some expect the AMD Navi GPUs to be unveiled at E3, rather than the Computex show, a week or two earlier. Xbox One S All Digital launches tomorrow, says report Microsoft intros slimmer and lighter modular Surface Hub 2S MSI clarifies AMD 300- and 400-series motherboard update plans AMD's 50th anniversary will precipitate special CPUs, GPUs QOTW: Which games consoles do you own? There are no more giant leaps. We've reached a point where technology has become so advanced, and so refined, that the best we can do is just generational improvements. And I am 100% OK with that. This has been said SO many times throughout history. That's what worries me. It seems to be a trend (not must in gaming). Other important aspects of the Sony PlayStation 5 are that it will support backwards compatibility with PS4 games and titles will still be sold on physical media.